Food Innovation Panel: How do we make plant-based eating the global diet of choice? It’s common knowledge that plant-based people love food. We love preparing it, cooking it, talking about it, learning about it, and most importantly, eating it! We had to make sure that Vevolution Festival had a huge foodie presence, otherwise what kind of plant-powered event would we be?! We have a fantastic line-up of speakers, panelists, and caterers that strongly believe in a more sustainable, and ethical foodie future. Check everyone out below, and get excited for Vevolution Festival 2018! Talk: In Conversation with King hosted by Claira Hermet. In this special on stage interview presenter Claira Hermet will be talking to King about his extraordinary career, what inspired to transform the face of vegan food and what is next for this #cookdailyculture food revolution. Catch King on the Vevolution Stage at 14:50-15:20. Talk: BOSH’S Top 10 Hacks to Build Your Business, Blog or Bestseller. Whether you’re a first-time founder, looking to scale your business or just looking to make more viral content, this talk will help you find specific tools, hacks and books to help you grow. Catch them both on the Vevolution Stage at 17:05-17:25. Talk: The Happy Pear's Top Tips For Health And Happiness. In their second appearance at Vevolution Festival, Stephen and David will share some of their top tips for health and happiness. Catch them both on the Vevolution Stage at 11:30am-12:00pm. Talk: The Boundaries Of Veganism. Brett will discuss how veganism is often a precursor to a radical change within an individual and often leads to greater awareness towards the environment and health. Then how we must use empathy and remember how we were before making those changes in order to increase our chances of encouraging others to become vegan too. Catch Brett on the Eat Drink Vegan Stage at 11:00am-11:20am. Also, check out our interview with Brett here. Food Innovation: How do we make plant-based eating the global diet of choice? This panel will explore emerging plant-based food trends and tactics for making plant-based eating the global diet of choice. Come and watch this panel on the Eat Drink Vegan Stage at 13:40 - 14:20. Janette is coming all the way from LA to host the Eat Drink Vegan stage! She will also be interviewing plant-powered pioneers, and sharing some of her insight on the food innovation panel. Rachel Ama shares the most heart-warming a delicious looking recipes on her YouTube channel, and Instagram! Roxy and Ben have one of the world’s largest vegan food channels, where they share their simple yet tasty recipes! Lauren is a culinary instructor, and freelance chef. She specialises in raw desserts, couture catering and bespoke private dining. Jamie Chapman is the UK’s first ever ‘Mylk Man’! He is plastic-free, and brings fresh, plant-based milks to the residents of London. 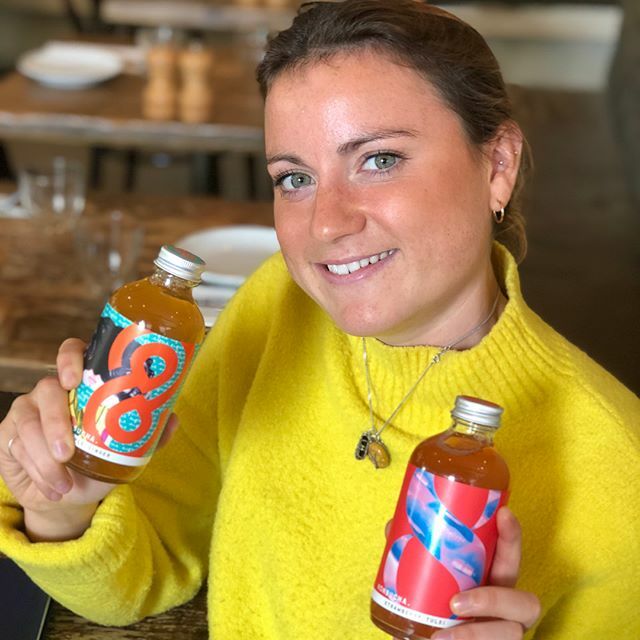 Learn how to make your own kombucha with Freya, founder of Fix8 Kombucha. You’ll be talked through the origins of kombucha, wtf a scoby is, how to brew and finish with a Kombucha Q+A for all your brewing dilemmas. Finishing up with a tasting of kombucha at different stages in the fermentation cycle and a bottle to take home. The London based start-up partners with farms to turn surplus fruits & vegetables in delicious condiments. Sample the Rubies range, discuss & learn about current food waste issues in the UK and make a delicious quick and easy vegan coleslaw with their new Aquafaba Mayo. We loved interviewing Rubies In The Rubble founder, Jenny Costa. It was so insightful and very inspiring, check it out here. Vegan Earth Cafe are coming all the way from LA to serve up some delicious street food. One Planet Pizza, Vegan Earth Cafe, The Green Grill, Benugo, Planted. By CHLOE. 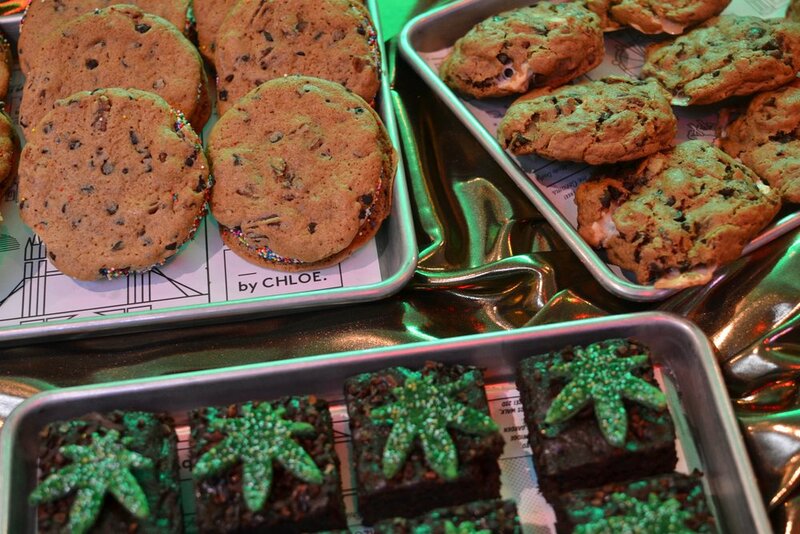 will be serving up their CBD range of baked treats. By CHLOE., Kinda Co., Rawsome. Each guest will receive a tote bag with £30 worth of goodies inside! What vegan treats do you think we included?! Each guest will receive a complimentary sample breakfast and coffee on arrival. We couldn’t think of a more perfect way to fuel you for an early start, and the busy day that will follow! Everyone is welcome at Vevolution Festival, whether you’re plant-based, vegan, or neither. We promise that you’ll leave feeling inspired, and full of new ideas! Come join us for an extravaganza of plant-based food, talks, panels, and workshops. Space is very limited, so secure your spot ASAP.